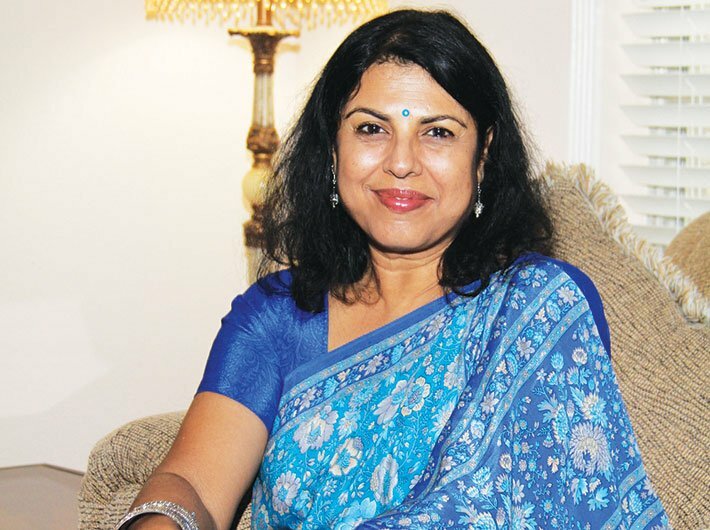 Chitra Banerjee Divakaruni was born in Kolkata and has spent most of her life in Northern California. The two cultures are reflected in her writings. Two of her books, The Mistress of Spices and Sister of My Heart, have been made into a movie and TV serial, respectively. Palace of Illusions, Oleander Girl and One Amazing Thing are among her notable works. Her writings have been published in over 50 magazines including the The New Yorker and The Atlantic and have found a place in over 50 anthologies, including The Best American Short Stories and The O Henry Prize Stories. She teaches creative writing at the University of Houston. What do you like the most to write: poetry, short stories or novels? Novels are at once most challenging for me and the most satisfying. The canvas of a novel can be very large. It can tell an important story and it can follow one character throughout his or her life, or depict a family over generations. It can show how large social forces or political changes can influence the lives of people. How has the Bengali roots influenced your writings? The culture of Bengal is what I know best, among all Indian cultures. Therefore, I set my books often in Bengal, and my Indian characters are Bengali as well. (My non-Indian characters come from many cultural backgrounds.) This way I can write in a truly authentic manner. Do the TV series and films made from your writings recapitulate the essence of the original work? I am happy when the novels are made into TV serials and films. I think this way the story reaches to a wider audience. Hopefully, at least some of them will then read the book as well and think about the differences between the two art forms, print and screen. A movie is very different from a book and I accept that. The movie reflects the director’s vision, whereas the book reflected mine, and I accept that as well. What do you think about the state of contemporary Indian literature? I think a lot of very exciting things are going on in contemporary Indian literature. We can see this from the prizes that people have been winning recently. So many new and young writers have come up with their own visions and their own understanding of India. Many of them are writing from the point of view of young characters, and I find that very interesting and exciting. I have learned a lot about how contemporary young Indians think by reading these books. There are powerful serious books as well as delightful fun books that are being published today, and that shows a very healthy mix of books in a culture. Has any author influenced you? Many. Foremost among them are Tagore and Tolstoy, and more recently, Anita Desai and Amitav Ghosh. In America, I have been influenced by multicultural women writers such as Toni Morrison, Maxine Hong Kingston, and Sandra Cisneros. Is there any difference between creativity and writing style of Indians and Americans? In the past, there was a distinct difference, the Western style being much more direct and the Indian style being much more stylized and flowery. The Indian storytelling technique was also a more roundabout, complicated one, influenced by ancient texts such as the Arabian Nights or The Panchatantra. But now those differences are being minimised as people read more books from different cultures and learn from them. I am working on a novel based on the Ramayan, from Sita’s point of view. A very challenging project!